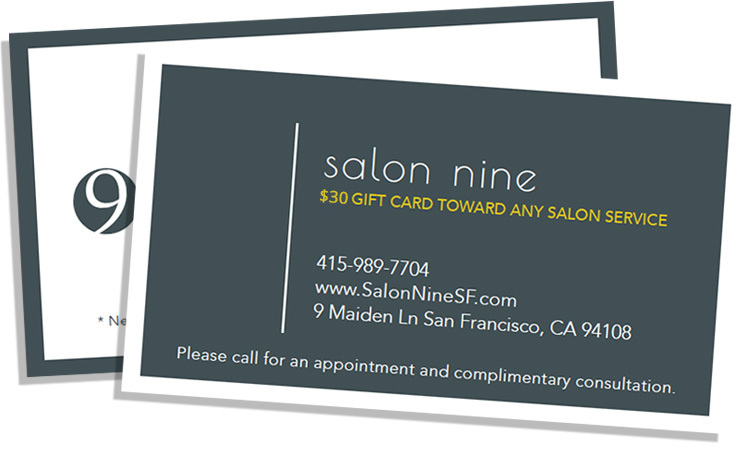 SALON NINE | Best hair salon in SF Union Square. New guests, come.....visit Salon 9! Receive a $30 gift card when you get a color or cut service.